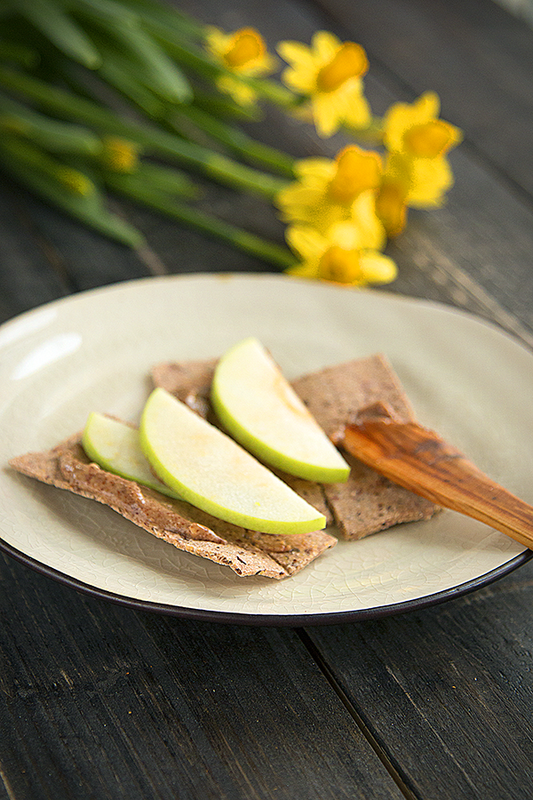 Raw food and Vegan Crackers - Full of protein and fibers! First mix the ingredients in a blender or with a hand blender. Bring forth a baking tray and ad a piece of baking sheet. Spread the mixture evenly on the tray, cut the crackers with a knife before you start baking it. Put the oven on 50 degrees celsius and leave the oven hatch open with a small gap. Bake for 2 hours or until the crackers are solid.